Out Think, Not Outspend Your Competition. BE HIP, BE COOL AND in the KNOW! Want to Embed the Twitter Terms on your website instead? Just copy and paste the code above to embed the image. 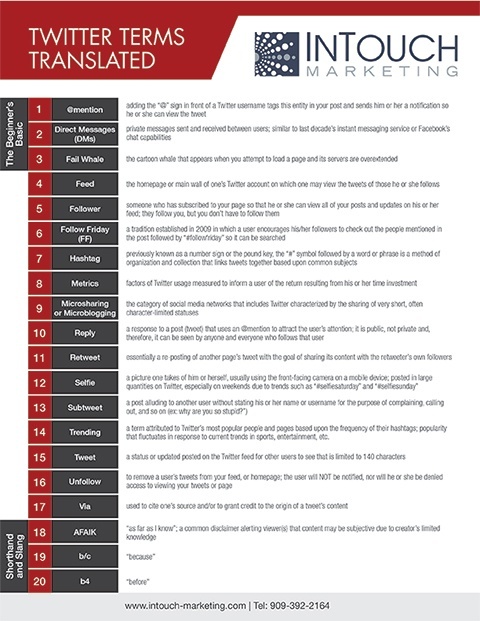 We took 80 of the most popular Twitter Terms and translated them for you in a downloadable format. At least you'll know what people are taking about! #Hashtag - What the heck is it?